Matthew Arnold? Who’s that? Didn’t he play a character on the TV series “Roseanne”? Nope, that’s a different Arnold. As far as I know, they’re not related. Actor Tom Arnold, who appeared on “Roseanne,” is funnier but has said little about the human condition. Matthew Arnold was a 19th-century English poet and social critic who has a lot to say that illuminates our current problems. In his day, he was most famous as a poet, being considered the third-best poet of the 19th century, right after Tennyson and Browning. His other claim to fame was as a son of Thomas Arnold, the real-life headmaster of England’s Rugby School who was fictionalized in the popular 1857 novel Tom Brown’s Schooldays and makes a cameo appearance in the 1969 novel Flashman. Today, most people read almost nothing that was written before last month, let alone before they were born. As a result, they have no inkling that the furious debates they hear every day are pretty old stuff. The same issues and arguments arise in society after society, century after century. They arise because they come not from technology or any unique conditions of the present era, but from human nature and the nature of human society. Those things don’t change. Matthew Arnold would understand that joke. It never was any part of our creed that the great right and blessedness of an Irishman or, indeed, of anybody on earth except an Englishman, is to do as he likes. And we can have no scruple at all about abridging, if necessary, a non-Englishman’s assertion of personal liberty. The British Constitution, its checks, and its prime virtues, are for Englishmen. We may extend them to others out of love and kindness, but we find no real divine law written on our hearts constraining us so to extend them. In other words, we reserve our empathy mainly for our relatives, our group, and our nationality. Anyone outside those groups is a second-class citizen of the human race. 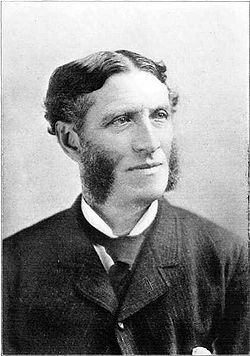 Matthew Arnold had never heard of sociobiology or kin selection, because in his time those theories hadn’t been invented. But he would have understood their basic idea: We tend to help those who are genetically related to us. We regard with suspicion anyone who is not so related. The closer the relation, the greater the emotional bond, so people in the same family have the greatest loyalty to each other. People in the same group or nationality, though more distantly related, are more likely to share genes than people in different groups or nationalities. Hence, they regard “their own” people as having human rights, but are ready to attack and kill “the other” people. It’s Christmas time, and that means one thing: Atheists are on the warpath. Again. … just to say that you can be good without God, so their atheist neighbor down the street shouldn’t be vilified as though he is immoral. Also, of course, if you believe in God, they think you’re a gullible fool. Either that, or you’re so terrified of death that your reason has deserted you and you’ve taken refuge in childish fairy tales. But let’s get back to Mr. Speckhardt’s point. Matthew Arnold had a fair amount to say on the subject. He was no secular humanist, but by 19th-century Victorian standards, he was quite a freethinker. He was frankly sceptical about the Biblical stories of miracles, but he didn’t want to get rid of the Bible or belief in God. He just wanted to reinterpret them in ways he thought were compatible with modern science. So atheists find him congenial in a lot of ways. At the present moment, two things about the Christian religion must surely be clear to anybody with eyes in his head. One is, that men cannot do without it; the other, that they cannot do with it as it is. Nobody with eyes in his head claims that an atheist can’t be a good person. It’s just more difficult to be a good person when one believes that there is no transcendent moral order and that one will never be called to account for one’s misdeeds. Life is hard enough for most people. Why make it harder for them by taking away beliefs that reinforce their conscience and strengthen their better selves? Psychology, history, and common sense testify in unison on behalf of Bible-based religion. Only when one is young and headstrong can one thus prefer bravado to experience, can one stand by the Sea of Time, and instead of listening to the solemn and rhythmical beat of its waves, choose to fill the air with one’s own whoopings to start the echo. I’m an atheist. I’m also accommodating to the traditions of others, within, I admit, my own personal limits. I’m all for people believing and worshiping within the bounds of societal cohesion. But when I think back to the handful of non-Christians in my elementary school classes forced to mouth the platitudes of their parents of their friends every year in pageants on stage before the community, yes, I’m ashamed. I do oppose that. I would not want to be in that position. How can I in good conscience insist that others should be? Or that my society should make them feel alien even for standing apart from it? I do not come to my atheism lightly or frivolously. I had a religious upbringing, though in all honest, it faded early. Most of the God-fearing nature that, I admit, still lingers with me, I ingested on Sunday mornings before the television, listening to Protestant preachers doing their thing, beamed up from Maine. When a friend died, far too young, of cancer early this century, I turned to my parents’ religion, Catholicism, and went through catechism and the sacraments as an adult. I’m entirely aware of the tenets of my (ethnic) faith. I don’t reject everything about it, and I will love the Mass, as an institution, till the day I die, but I no longer accept the basis for it. You say it is harder to be moral if one does not believe in a deity. I’d like to examine that premise, because I think it’s flawed. If you, as a theist, are compelled to murder someone, what are you actually doing, in your estimation? You are sending them to judgement. Potentially, to a better place, where they will continue to exist, meet the loved ones who predeceased them, and await those yet to come. In effect, the sum loss is zero. They have exchanged one realm of consciousness, one set of experiences, for another. They have been delivered to whatever judgement they would have received, albeit prematurely. If I, as materialist – an atheist – am compelled to murder someone, what am I actually doing, in my estimation? I am ending his or her existence. I am not delivering them to the hands of a loving god or the embrace of a waiting family. I am ushering them into the darkness, into smothering, all-consuming nothingness, into the last fleeting moments of experience and being, coloured by pain and terror, regrets forever unaddressed and expressions of love forever unexpressed. I am extinguishing being itself, a conception that sends the sane mind reeling. Contrast these philosophical outcomes. Can you really say that the weight of morality weighs more heavily on the mind of the thinking theist, who, deep down, believes he is only swapping A for B under the frown of an omniscient order-maker, than on the thinking atheist, who realizes he is snuffing out A altogether, and there is nothing more, and no real atoning, no means to apologize or make amends, forever? What care I, or others like me, for the judgement of a god we do not perceive to exist? But what human being does not yearn for the acceptance and admiration of his fellows? Do those who commit suicide in light of their crimes do so to deliver themselves to the judgement of a god? Surely not. They do so to spare themselves the judgement of their fellow human beings… or at least, the ongoing experience of it. If God unquestionably existed, and mankind was sincerely convinced of this, not a single person would commit suicide. They would eke out their years laughing at mere human judgement, in horror of the judgement to come. But we don’t see that. In the most morally-troubled of people, self-destruction is great release valve. This is the internalization of societal norms tormenting an animal to the point that non-existence is the only succor. For myself, it is in not way harder to be moral in failing to acquiesce to the existence of a god for whom no subjective evidence has been shown to me. Morality is a function of the nature that has made us successful survivors among animals, and more finely, of the societies in which we are born… I see it as no accident that the gods inevitably command the things precious and practical to the societies that worship them… and that, holy books notwithstanding, these change in character (slavery, women’s suffrage, dietary restrictions, lending money for interest, etc.) as the practicalities of the societies that worship them change. In truth, I think it’s easier to be immoral – relative to what your society expects of you – if you feel you clutch a Get Out of Hell Free card. How many murderers turn to religion in prison to assuage the guilt of what they’ve done? I would say to you that these were, almost exclusively, people who believed in a god before they committed their crimes, but whose self-interest trumped their morality, and they came of late to their faith in its full bloom only once that interest was served and then society condemned them. What is “moral”, in truth, depends on the times and where you find yourself in the world. Though we, of course, would disagree here and how, it’s entirely a matter of truth that slavery was moral in the south of your country – arguably even after the Civil War, in most hearts – and that inter-racial marriage was immoral, because it struck at the heart of identity. Even as far north as Canada, here, my own mother expressed to me the sentiment, when I was young, that mixed marriages were wrong because “the children never belong to either race”. She didn’t see that the only problem such children had in life were the attitudes of people like herself, though I would hope she does by now. Who is right, though? Surely, it depends on whom you ask (and where they place their emphasis in their holy scriptures…). I don’t feel that people who believe in a divinity are necessarily fools (though, as with any group at large, some are, of course). I believe they’re motivated by powerful human forces… tradition, respect for cultural norms (particularly familial ones), the need to survive death, the yearning to be reunited with those who have already died, the hunger for justice when it seems someone has lived a full life and “gotten away with it”… all these things, and more, contribute to a powerful need for something greater. I’m human; I feel it too, at times; I have a nagging belief in karma (superstition) that I can’t quite shake off because of my upbringing. But for me, as much as my sense of justice and order would like it to be so, I simply don’t see an evidence it’s so, and so I live my life in the expectation that this is all there is, and we must make the best of it – not only for ourselves, but for on another, here, and everywhere… because there is no consolation prize at the end. We have to make it right and good for each other NOW… because while there may be more, the truth is, this is the only reality we KNOW to be true. We’re here. This exists. We can make a difference. Let’s do it, and if I’m wrong and there’s more besides, great. Call it a bonus. But never let the bonus cause you to lose sight of the principle. That’s what atheism’s all about, Charlie Brown. Thanks so much for your thoughtful and informed argument. Certainly, atheists can be good people: My father was a prime example, as are you. That’s not in dispute. We disagree on a couple of fundamental points. You mentioned one of them so quickly that I sensed you don’t think it’s important: “the thinking atheist.” Let me tell you how I eat. I eat in restaurants. If I must eat at home, I typically have either a peanut butter sandwich or a frozen dinner. Why? It’s not because I don’t know how to cook. It’s because I’m too lazy to cook. And I don’t have the time. And I don’t want to bother. For the majority of people, moral and religious convictions are like that. They don’t want to spend years fussing and reading and arguing about them. They just want someone to serve them a nice plate of morals and theology, ready to eat. These are not “thinking atheists” or “thinking theists:” they are just plain, ordinary people who want to get on with their lives as well as they can. If they wanted to think deeply about moral issues, they could, like you and my father, arrive at principled stands. But they don’t. They just want to know how to be good. Of course, knowing how to be good is only half the battle. Being good requires motivation and a reason to resist temptation. I’ve already told you how I eat: now, let me tell you how I work. I’m a self-starter, but mainly when my work interests me. When I have to do work that bores me, I tend to procrastinate. At those times, it increases my motivation to know that someone is going to bug me about getting it done. I will be held accountable. You can probably see the analogy here. It’s easy to be motivated, whether at work or in life, when our natural inclination is to do the right thing. But what about when our natural inclination is to do the wrong thing: to slack off, to engage in vicious gossip against a rival, or to steal just a little money out of the company’s accounts? Our moral convictions tell us not to do it, but they can easily be out-shouted by strong desires or vengeful emotions. I think it helps us to know, or at least to believe, that we will be held to account for our actions. Even a “thinking” atheist or theist can benefit from that additional incentive to be good. I am more selfish than you are. The murdered person, as an innocent victim, might indeed go to a better place. But according to Judeo-Christian religion, the murderer will not. I don’t believe in the lurid medieval tales about Hell as a lake of fire, and even less in the “South Park” version of Hell, but I do believe we are called to account for our misdeeds. If I were ever inclined to commit a serious crime, I would have to weigh the result in this world against that in the next. It raises the stakes quite a bit. Hmmm … maybe a few. But your point is a good one, and I agree. I even have a gloss about why the evidence for God’s existence is so ambiguous. If we knew for certain that God existed, and that we would have to answer for our misdeeds, it would interfere with our free choice. At least when it comes to us, I think that God is all about free will. Our task in this life is to choose what kind of people we will be and how we will live. If we knew for certain that God was looking over our shoulders, it would constrain our decision and it wouldn’t come genuinely from within us. It wouldn’t really be our decision. Therefore, our world is deliberately designed so that nobody can prove the existence or non-existence of anything beyond it, including God. We can suspect. We can intuit. We can theorize. But we can’t prove. What we can do is make our choice: Who and what do we choose to be? How do we choose to live? Believing in God, or not, is part of that choice. And I do not believe that God holds it against anyone who examines the evidence and sincerely concludes that He does not exist. But you should prepare yourself for a certain amount of gentle teasing when you finally stand before Him. If there’s one thing that’s abundantly obvious, it’s that God has a sense of humour.